Sam Moyle - Ocean Hero | Gage Roads Brewing Co. Ocean Heroes aims to enhance the lives of those living with autism through surfing. They take children and young adults on the autism spectrum out of their comfort zones and into the ocean to help break down barriers and develop confidence and self belief. Last Sunday we jumped in the surf , battled some waves and captured some little legends having the time of their lives. It was a very special moment for us and all involved. After a few barrels we pulled co-founder Sam Moyle aside for a quick chat. Hi Sam, tell us a little about Ocean Heroes. 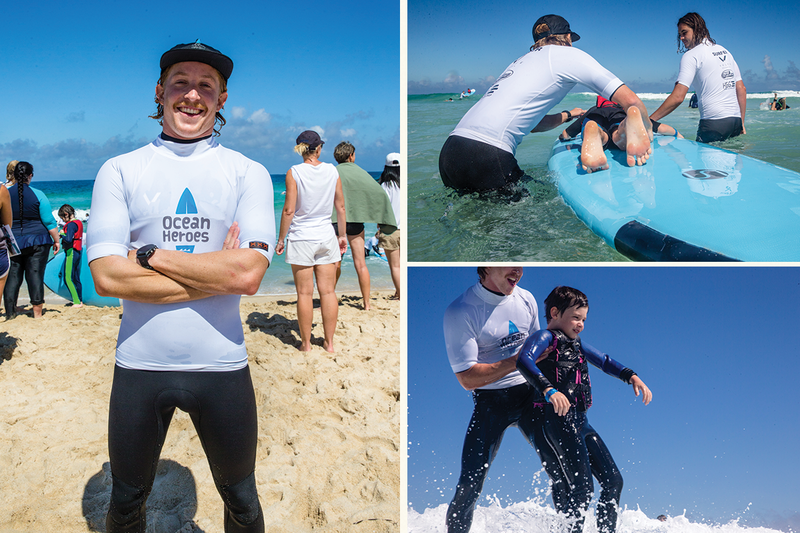 Ocean Heroes is a charity set up by local West Australian surfers that aims to enhance the lives of those living with autism, through active involvement in the sport of surfing. We take children and young adults on the autism spectrum out of their comfort zones and into the ocean, to help break down barriers and develop confidence and self-belief. When and how did it Ocean Heroes start? Ocean Heroes first started after local PT Luke Hallam noticed his clients with Autism Spectrum Disorder (ASD) had never experienced surfing. This came as a shock as many of them displayed the ability to be able to surf whilst training in the gym with him, and that majority of the neuro-typical population in Australia have at least experienced surfing. 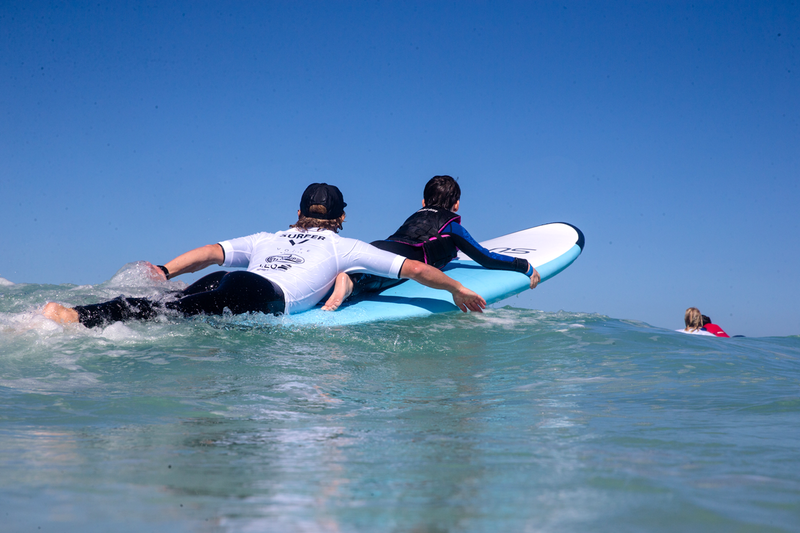 Luke came across a group in America called Surfers Healing who specialise in taking children with ASD surfing, this prompted him to fundraise towards bringing them to Perth. I’m a marine scientist and joined Luke in this endeavour by competing in the Molokai 2 Oahu prone paddleboard world championships (2015) in Hawaii, an island to island race of 52km across one of the deadliest channels in the world. We raised enough funds to bring Surfers Healing to Perth for an event March 2016. The event was a huge success with over 150 children on the autism spectrum surfing at Trigg Beach. The parents, participants and volunteers were amazed by what they were witnessing, and pleaded for more of these events. This prompted myself, Luke, and Tom (another surfer and owner of GoSurf Perth Surf School) to get together, to create our own program. It didn’t require a large sum of financial input for one-off events, and could be run through our network or surfers, friends and family. We held a trial event in May 2016 at Leighton Beach, with 25 ASD participants involved in a very successful day. The rest is history, we registered Ocean Heroes as an official charity in September 2016. Ocean Heroes has since held 14 events in Perth Metro, regionally at Denmark, and interstate at Bondi Beach in NSW. In the 18 months Ocean Heroes has been operating we’ve taken upwards of 1000 children and young adults on the autism spectrum surfing. Myself along with Luke Hallam and Tom Johnston are the three co-founders/directors of Ocean Heroes. Between the three of us, we juggle basically everything from the charity’s administrative aspects to running the monthly surfing events. It works well having three brains and six hands, as we juggle this all with full time jobs and training. I personally witnessed the joy the kids experience, how else does it positively impact their lives? This event was originally setup to benefit the ASD community; however we see massive benefits to their families, friends and broader community as well. The happiness that a half hour surf session can bring to a child or their family is evident at each event, and seems to echo in the days that follow. We receive thankyou emails from parents following events describing the benefits they see in their kids, including increased confidence, improved concentration at school, a brighter outlook on life, to even reduced stress and anxiety, and all from experiencing surfing, something that many of us take for granted. Volunteers play a pivotal role in Ocean Heroes, how can someone get involved? Ocean Heroes is run off the good-will of volunteers, local community, and a healthy dose of stoke. 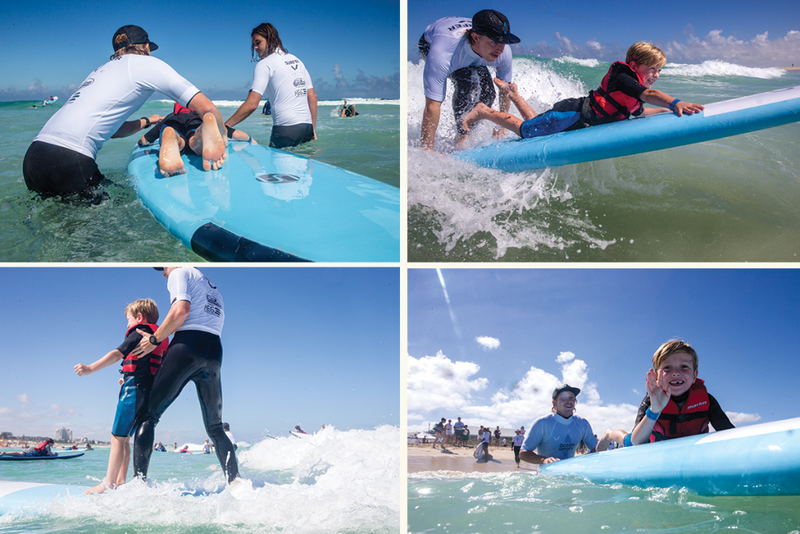 The surfers and volunteers use compassion, skill and professionalism to provide a unique experience to children that may not otherwise get an opportunity to have. Over the past 15 events, we’ve had a total upwards of 300 volunteers of all ages donate their Sunday to come down and volunteer. They also help to fundraise and promote Ocean Heroes. Ocean Heroes has grown exponentially, where to from here? We’re hoping to make Ocean Heroes prevalent in every state around Australia, running events consistently all year round. We feel everyone should have the opportunity to experience surfing, and we’d love to be able to provide a safe and inviting platform to do so. The goal for 2018 is to run a few more regional events in Western Australia, then an interstate event in both NSW and VIC towards the end of the year. With annual sponsorship and consistent fundraising, this goal should be achievable, ensuring Ocean Heroes is sustainable for the long term. To get involved in Ocean Heroes email info@oceanheroes.com.au or hit them up on Instagram or Facebook. Photos by John Barton if you like what you see check out his By the Sea.